In the past 3 weeks I have gained a whole new appreciation of motherhood. Experiencing all of this for the first time and in awe of so many amazing women who go by the title of Mom. The sacrifice, patience and love that is poured out every day has me stepping back and realizing just how easy the past 7 years of marriage were before children. There are many things I am learning as we go along and taking each moment in stride. 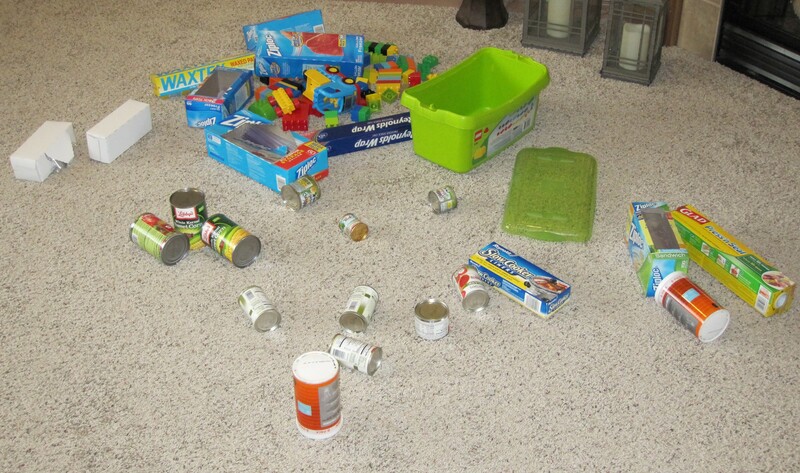 Even when it means allowing your living room to look like this, because so much fun was being had loading everything from the pantry onto toy trucks. And being okay that your pantry is returned to this kind of order when you ask them to pick up. Trying to make an escape to the lady’s room without the littles following behind and getting out in record time before they pound the door in. Making dinner at 5:00pm with two very eager chefs. One assisting in scrubbing the potatoes and the other discovering the wonders of a can opener! Thankfully I have a safe childproof opener and all cans in the pantry remained intact. The bliss of a full night’s sleep without being woken up and facing the consequences in the morning. Usually a wet bed and extra loads of unplanned laundry. For all the pros out there who have been doing this for years, my enlightenment may seem very silly and juvenile. While I have always observed and greatly respected the role of motherhood, it’s quite another thing to be living it. I also think some of my ah-ha moments are in part to the way the beautiful gift of motherhood came to me. Leaving the work force after 8 1/2 years and a week later being full time mom. We skipped the newborn stage and overnight became parents to two very active, lively, joyful 4 and 5 year old boys!! And I wouldn’t trade these moments for anything!!! I loved this post, motherhood sure is amazing isn’t it? You sound like a pro already. The pantry picture really made me laugh. I can relate. Lincoln would love the boys, and I am glad you are enjoying it. Just taking each moment as it comes and realizing boys will be boys! 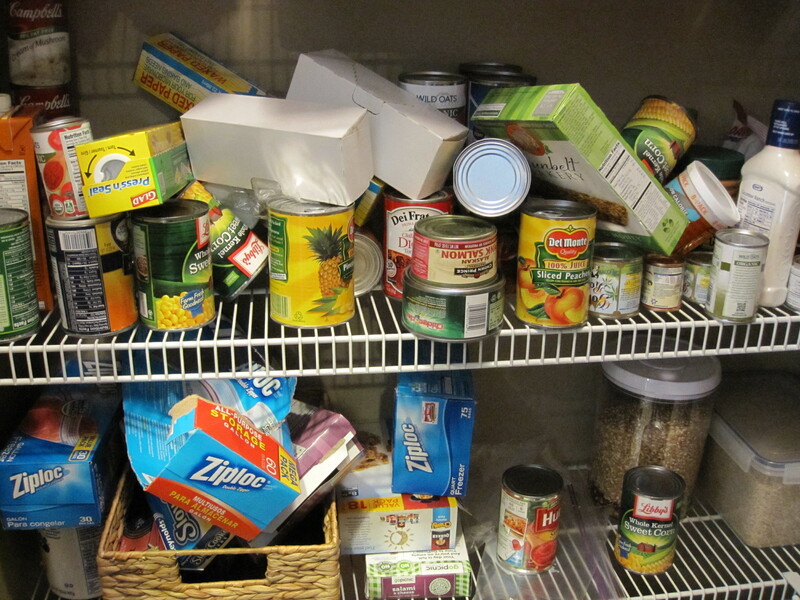 They thought the pantry needed another re-organizing this afternoon! We are so blessed and honored to call them our sons!! Can’t wait for you to meet them! Love how you are embracing motherhood, even in the sacrifices. I hope to someday embrace it as well as you. I am far from perfect, but it’s a learning process every day! Continuing to keep you in my prayers! I’m with you my friend. We just brought a newborn home and it seems like things are upside down. This is the first time I’m able to comment on other blogs because both kids are sleeping AT THE SAME TIME! I’m obviously choosing to blog rather than shower or sleep or work out. It’s a tradeoff I think and although it’s not glamorous I wouldn’t change a thing! Congratulations!! As a new mom it’s comforting to know I am not alone!